Francois-Henri Pinault, the CEO of the Kering (formerly Gucci) Group, knows art when he sees it–he should do; he owns iconic auction house Christies. But he also owns the ‘greenest’ luxury conglomerate on the Earth, Kering (formerly the Gucci Group, or PPR). Kering has bought vast tracts of Amazon rainforest to offset its CO2 emissions, for example, and has implemented policies for all its brands–including McQueen, Saint Laurent and Stella McCartney, to name but a few–aimed at reducing each label’s carbon footprint. And Pinault himself has also picked up on new talent that is ‘green’ in innovative ways. He has taken Sakina M’Sa under his wing for example, providing the upcycling fashion designer with leftoever scraps from McQueen, Saint Laurent and Gucci to spin into her signature body-con designs. 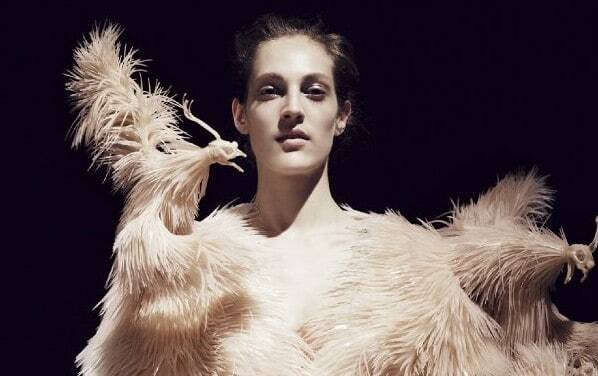 And he’s also selected zero waste Dutch designer Iris Van Herpen to mentor. 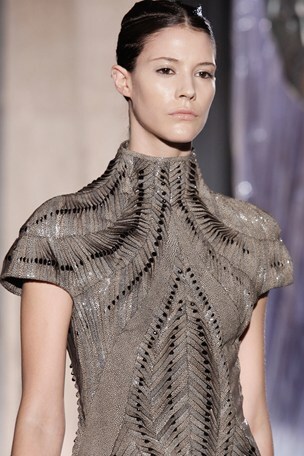 Considered to be the real heir to McQueen’s genius, Van Herpen has been featured in Vogue, Harper’s Bazaar and Numero, and in 2011 her 3D printed dress was nominated one of the “fifty best inventions of the year” by TIME Magazine. That same year she won the Dutch Fashion Awards and was admitted to the prestigious Chambre Syndicale de la Haute Couture – the French organisation that awards designers the status of haute couturier – as a guest member. Then, earlier this year, she was awarded the ANDAM prize, adding another feather to her cap. 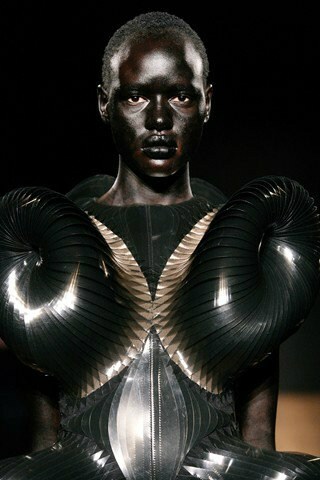 What attracted Pinault’s attention to Van Herpen’s work are her sculptural, handmade creations and her employment of unusual materials and techniques to make them. A pioneer in 3D, zero-waste design, her theatrical clothing and architectural footwear have won fans like Daphne Guiness, Bjork and Lady Gaga, who own several costumes created by the designer. 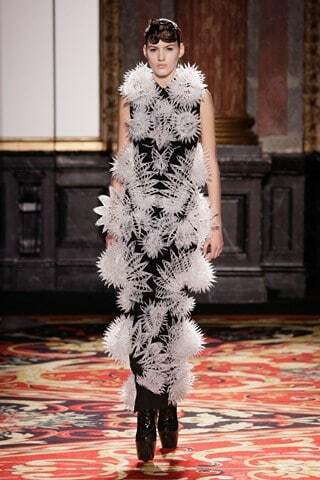 Van Herpen’s imagination seems much broader than the materials typically available to her–unlike plastic artists, the realm of textiles draws limitations around what fashion designers can do. 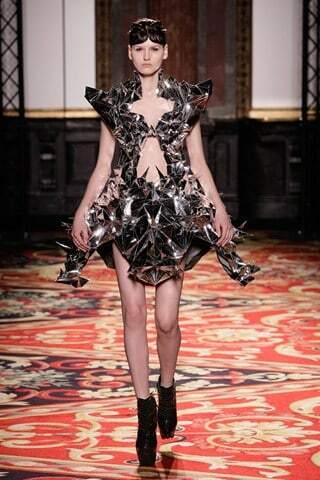 So, Van Herpen is willing to cross the border to art. Specifically, she has already used electricity for herffourth collection in Paris as a guest member of the Chambre Syndicale de la Haute Couture. 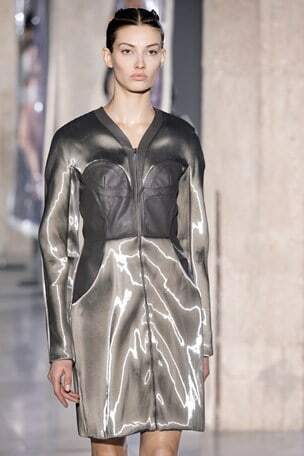 Experimenting with its use in the field of creation, this collection aimed to portray the ability of light and electricity to change states and bodies. As part of the show she collaborated with new Zealand artist Carlos Van Camp, echoing his notion of controlling high voltage electricity and its interaction with the human body, and she also worked with Canadian architect Philip Beesley to show how the reaction of chemistry and electricity causes structures to respond to their environment and react as living beings. In the future, she hopes to one day find a method of controlling substances like smoke or water to cover the body, believing there could be nothing more natural or comfortable to ‘wear’. In fact, nature and natural forces heavily inspire all the designer’s work, and myriad life forms and energies are at the basis for many of her collections. 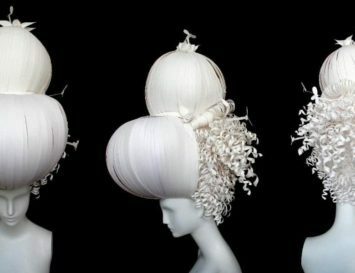 For example, the shapes and structures of micro-organisms, which unlike other living creatures have no eyes, noses or limbs, led her to create her Micro collection in 2012. 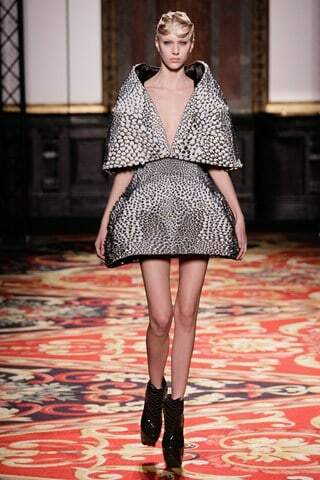 Given the decline in demand for couture clothing in recent years, Paris’s Chambre Syndicale has been looking to new names to reinvigorate the industry, and Van Herpen seemed an obvious choice to shake up the staid monde of couture. “Times are changing and fashion of old is no longer relevant. I think that by inviting someone such as myself – who works by hand and approaches haute couture in a completely different way – to join, they are showing themselves to be open to this change,” she said. 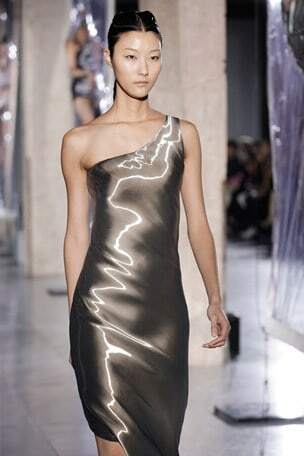 What particularly appeals to her about the Chambre Syndicale is its slow-fashion angle. 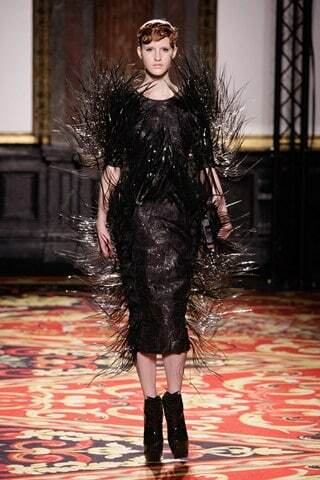 Indeed, Van Herpen has declared that she truly loathes the industrial machine that is fast-fashion, and she is greatly disturbed by the fact that every season, more than half of all clothing is destroyed. 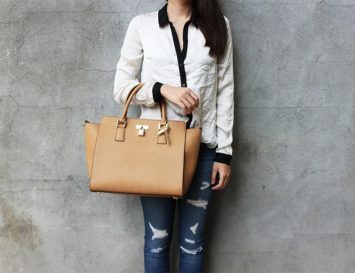 That, and the fact that people often buy clothing for only a few pounds, but feel no emotional connection to an outfit; there is no story behind it, no need to keep the item or consider it a timeless piece. However, even her less conceptual ready-to-wear collections may consist of handmade, nature inspired pieces that will be worn by consecutive generations–or at least passed down as collector’s items or even considered works of art. 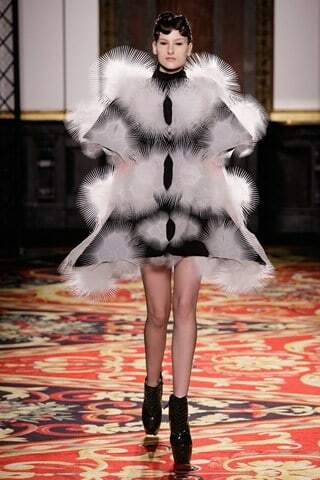 Think dresses made from fabric simulating the effect of water or molten metals poured on the body, or textiles imitating the transparency of insect wings or the lightness of feathers, ‘nesting’ the wearer in a labyrinth of carefully connected strips. Their innovation and beauty transports this clothing to a realm beyond fashion.You may even see them auctioned off at Christies one day.